Reading is the most important skill that a child must acquire at school because one must learn to read to be able to read to learn. A child who is a poor reader will usually also be a poor academic learner. Unfortunately, millions of children battle to learn to read, and many never succeed. • focus and concentrate on the reading material. • move eyes smoothly and accurately across the page. • process the words accurately and efficiently on a subconscious level. • hold information in their mind while searching their knowledge base to make connections that relate to the information in the text. • visualize what is happening when reading. • supply the thinking systems of the brain with information in a format that enables them to think about what is being read. The entire “Foundational Processing System” must work rapidly and mostly on a subconscious level. The number one reason for poor reading comprehension is that the basic mechanical process of reading is done on a conscious level. We can only do one thing at a time consciously and the conscious mind must be available to the thinking systems of the brain, so we can comprehend and think about what we are reading. It would be virtually impossible to have good reading skills without good language skills. Most children learn basic language naturally without much effort, but building a rich vocabulary and good language skills require a child to interact face-to-face with adults and other children that have good language skills. A rich vocabulary can further be enhanced by reading, playing age-appropriate board games and crossword puzzles that build vocabulary, and putting in the effort to learn a few new words and their meaning each day. Nothing is understood or learned without tapping into one’s own knowledge base. The richer an individual’s knowledge base, the more smoothly and efficiently the reading and learning process becomes. A good knowledge base means that there is a greater probability you will have the knowledge necessary to understand the text. If you have virtually no knowledge about what you are reading, it is almost impossible to focus and concentrate on the content. It also means if you can manage to focus on the text, you will need to go back and forth re-reading the text to find connections that may bring some meaning to the text. The creation of a good knowledge base also drives curiosity, which is a key motivator for reading. 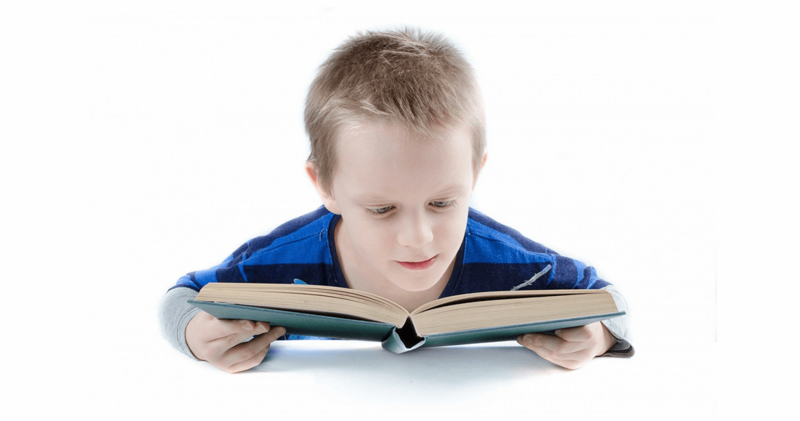 When should you start to teach a child to read? You can start creating the building blocks for reading at birth by talking to your baby a lot, reciting nursery rhymes and singing rhyming songs. You can start to read books to your child at around 4 months when their vision has become more developed. Choose books with very little text or no text and colorful big pictures. When you read, point out the pictures and say what it is. Reading aloud to very young children helps develops language skills, knowledge, foundational processing systems and curiosity. At approximately 8 months children begin to grasp some of the words you read to them, especially words that are names and represent common things. For example, daddy, mommy, cat, dog, milk, bottle etc. Pointing to something they are familiar with and hearing you name it helps build your child’s vocabulary and helps them realize that pictures stand for real things. When reading, use a lot of expression on your face, voice, and hands to make it more entertaining. At approximately 15 months begin to introduce books with a sentence or two on each page. Get the child to participate by asking simple questions or have them do a task. For instance, point to a picture and ask, “What’s that?” or say “Touch your ear,” then have them touch the boy’s ear in the picture, point to a dog and say, “What is that?” then ask what a dog says. As they progress, ask slightly more difficult questions. Make it as fun and entertaining as possible. That will make the child look forward to your reading sessions. At approximately 24 months begin to introduce books with a simple paragraph on each page that tells a story. Ask more complex questions about the pictures. After you read a paragraph look at the child face-to-face and explain what is happening in the story. Start pointing to colors and say what the color is. At this age, most kids like the same book over and over which is fine. Repetition helps them remember words and builds vocabulary. At approximately 30 to 36 months children still like you to read certain books over and over, but add more variety. Point to colors and ask, “What color is this”? Point to letters and numbers and say the letter or number then ask them to point to it and say it. Ask more complex questions about the story. At 3 years begin to ask them to name numbers and letters and start to introduce very basic words by pointing to a word and saying the word, then have the child point to the word and repeat it. Do this very casually and no flashcards! Children are not developmentally ready to start intense word identification instruction at 3. After you have read a certain book a few times ask the child to explain what is happening and ask what is going to happen next. At 4 years most children will be able to recognize most basic numbers, letters, and some basic words. Continue reading to the child and ask more in-depth questions about the story. Try to create a dialog with the child about the story. At about 4½ a good exercise to do is listen to audiobooks together. Let the child select the book. It should be simple and straightforward. Pause at certain points and discuss what is happening or ask specific questions about the story like what are the names of the boy in the story, etc. This builds the visualization system, which is a foundational processing system that is very important in the process of reading. It also builds thinking systems. At 5 years you can start to teach children the sounds that letters make and more basic common words. Faster is not better when it comes to learning to read. Most children, especially in today’s society are not developmentally ready to learn to read until about 6 or 7 years old. Many are not even ready at 7. Unfortunately, many educational assumptions are made on chronological age rather than developmental age. Forcing tasks on children who are not developmentally ready for the task causes more harm than good. Don’t be in a hurry when it comes to learning to read! Most of the countries with the highest reading rates don’t start teaching reading until around 7. • Studies show that children who are behind in reading at the end of third grade, get further and further behind as they proceed through school. • Two-thirds of children who cannot read proficiently at the end of fourth grade will end up in jail or on welfare. • One in four children in America grow-up not learning how to read. • Nearly 85% of juveniles who face trial in the juvenile court system are functionally illiterate and more than 60% of all inmates are functionally illiterate, proving that there is a close correlation between illiteracy and crime. • 50% of adults in the U.S. cannot read a book written at an 8th-grade level. • 45 million in the U.S. are functionally illiterate and read below a 5th-grade level. • Illiteracy costs American taxpayers an estimated $20 billion each year. • School dropouts cost our nation $240 billion in social service expenditures and lost tax revenues. • Good reading skills are essential for success academically and in everyday life. • All of the components mentioned above are important in developing good reading skills. They all must be well developed and work in a synergistic manner. If any of the components are weak, reading will suffer. • Note: Reading cannot be taught with phonics alone. Phonics aids in identifying and spelling unfamiliar words. It also build’s auditory processing skills which are important in listening comprehension, but plays only a small part in the reading process. Reading is primarily a visual skill, you see the word you know it and you visualize in your mind what is happening. When fMRI studies have been conducted on individuals when reading, it showed that in good readers with excellent comprehension and fluency, the visual part of the brain is most active. In readers with below average comprehension and fluency, the area of the brain that correlates with sound or phonics shows the most activity.